When Horn (18-0-1, 12 KOs) upset Manny Pacquiao last summer, two clashes of heads, each ruled accidental, opened cuts on Pacquiao’s face July 2 at Suncorp Stadium in Brisbane, Australia, Horn’s hometown. 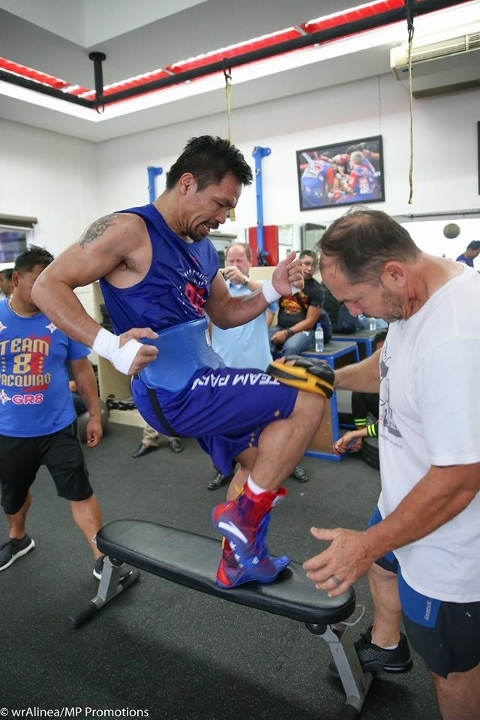 The first laceration opened along Pacquiao’s hairline in the sixth round. 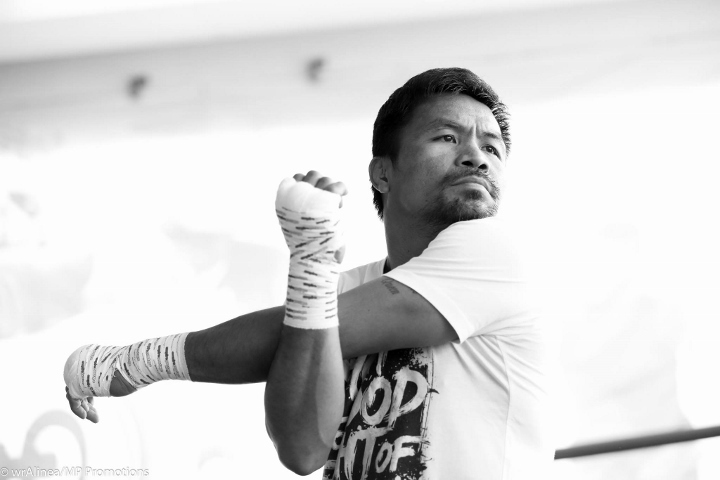 The second cut opened in the seventh round, over Pacquiao’s left eye. Horn later overcame severe trouble during the ninth round and won a controversial unanimous decision (117-111, 115-113, 115-113). The Philippines’ Pacquiao (59-7-2, 38 KOs) was criticized following his surprising defeat for not retaliating when Horn repeatedly roughed him up. Crawford assured Tuesday that won’t be an issue for him if Horn begins bending boxing’s rules during their fight. 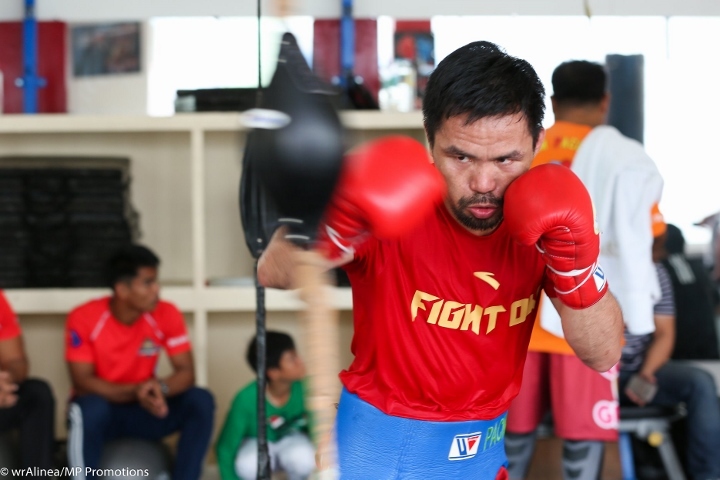 The coverage of the "Fight of Champions" showdown between WBA "regular" welterweight beltholder Lucas Matthysse and challenger Manny Pacquiao is already pegged at 170 countries and is fast shaping up to become a blockbuster of an event - now dubbed as the "World Cup of Boxing." (Photos by Wendell Alinea/MP Promotions). From Asia to South America, to Europe and Africa, to the Middle East, Asia Pacifica, Oceania and the Far East and the Caribbean, fans all over the world will be treated to a whole day of sports festivities on July 15 starting in the morning and throughout the afternoon. 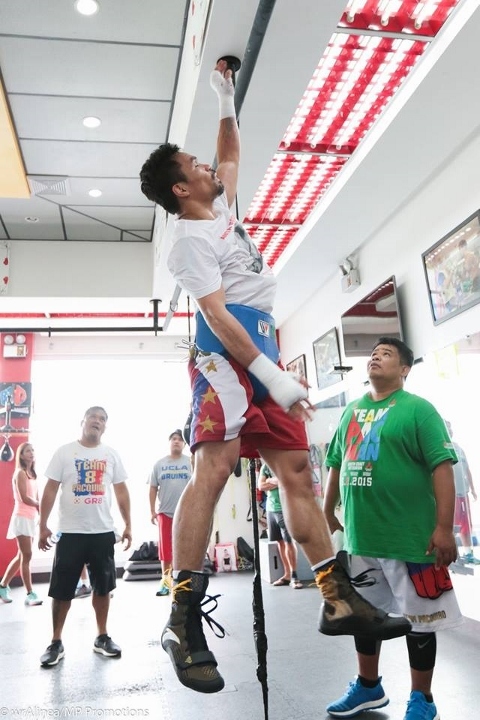 The Pacquiao vs. Matthysse event will be beamed live at 12 noon from the Axiata Arena in Kuala Lumpur (around 8 PM, July 14 in the US and Mexico) via satellite. 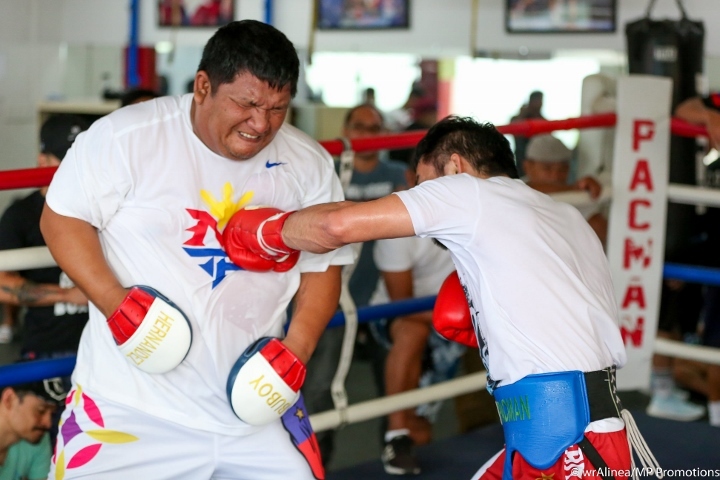 With World Cup fever undeniably in the minds of many, boxing also has its version of the World Cup, with the Philippines and Argentina vying for the World Boxing Association belt in the main event. Other championship bouts presented by Pacquiao's promotional company, MP Promotions, include the WBA world title matches between Venezuela and China, (Carlos Canizales vs. Lu Bin for the WBA light flyweight belt), as well as South Africa (Moruti Mthalane) against Pakistan (Muhammad Waseem) for the International Boxing Federation flyweight crown. In the main supporting bout, it will be Mexico against the Philippines as the WBA, through president Gilberto Mendoza Jr. and ratings chairman Jose Oliver, has just sanctioned the fight between Mexican Edivaldo Ortega (26-1-1) and Jhack Tepora (21-0, 16 KOs) of the Philippines for the WBA featherweight title. Host Malaysia will feature its best fighters Muhammad Farkhan, Theena Thayalan and Alman Abu Baker battling fighters from Thailand and 2 Indian boxers, respectively, in the undercards stacked deep by the organizers, who are trying to impress a worldwide audience. Other countries represented in the event include Australia and Japan.